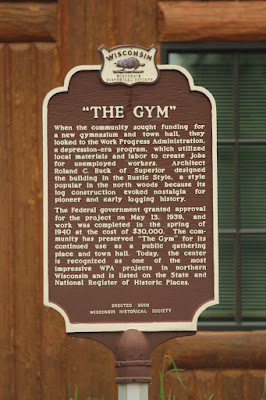 Wisconsin Historical Markers: Marker 522: "The Gym"
When the community sought funding for a new gymnasium and town hall, they looked to the Work Progress Administration, a depression-era program, which utilized local materials and labor to create jobs for unemployed workers. 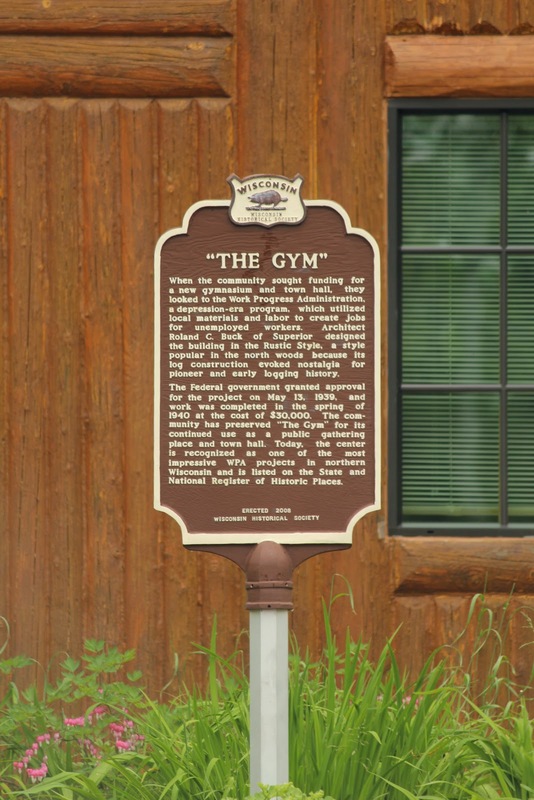 Architect Roland C. Buck of Superior designed the building in the Rustic Style, a style popular in the north woods because its log construction evoked nostalgia for pioneer and early logging history. The Federal government granted approval for the project on May 13, 1939, and work was completed in the spring of 1940 at the cost of $30,000. 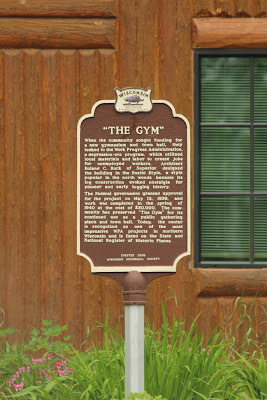 The community has preserved “The Gym” for its continued use as a public gathering place and town hall. Today, the center is recognized as one of the most impressive WPA projects in northern Wisconsin and is listed on the State and National Register of Historic Places. The marker is located in front of the Herbster Community Center / Clover Town Hall, on northbound Lenawee Road, just south of its intersection with Wisconsin Route 13, Herbster, Wisconsin 54844.